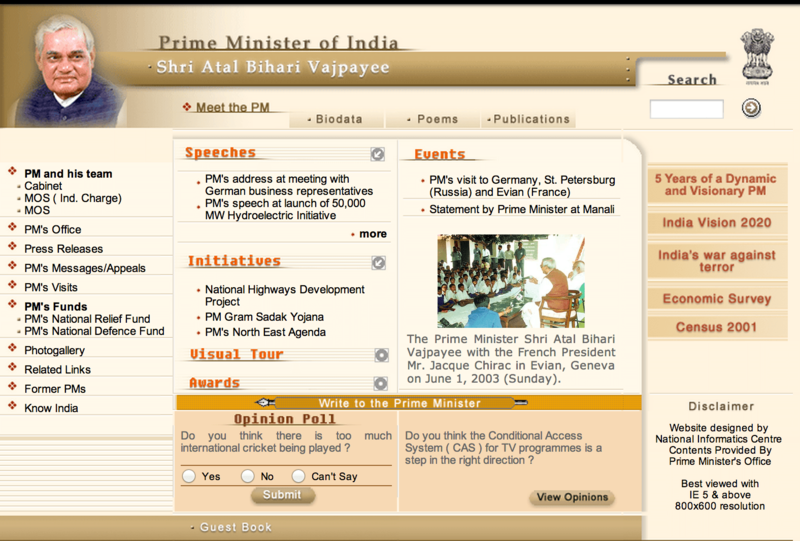 Here’s a colorful look back at the PMO India site over the years, with archives from the Wayback Machine. 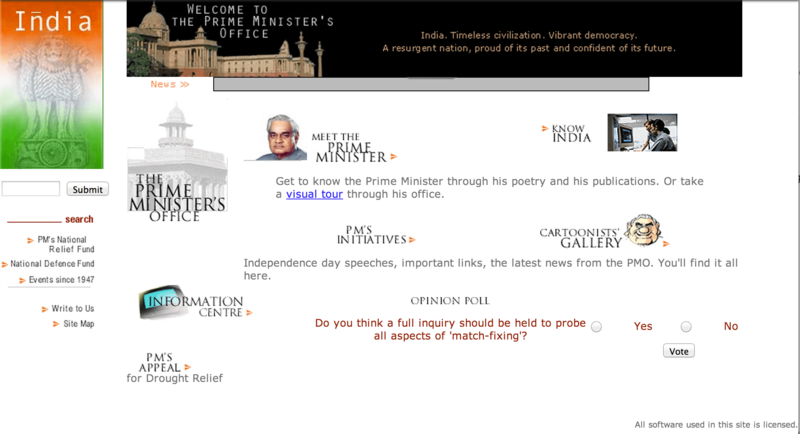 Vajpayee PMO site in May 2000. Not terrible for a site from the `90s, but still all over the place. Note the prominent poll on match fixing! Vajpayee PMO site in June 2003. Polls on cricket continue. His poems are still prominently featured. Manmohan PMO site in Mar 2005. Just the profile picture and name were switched. 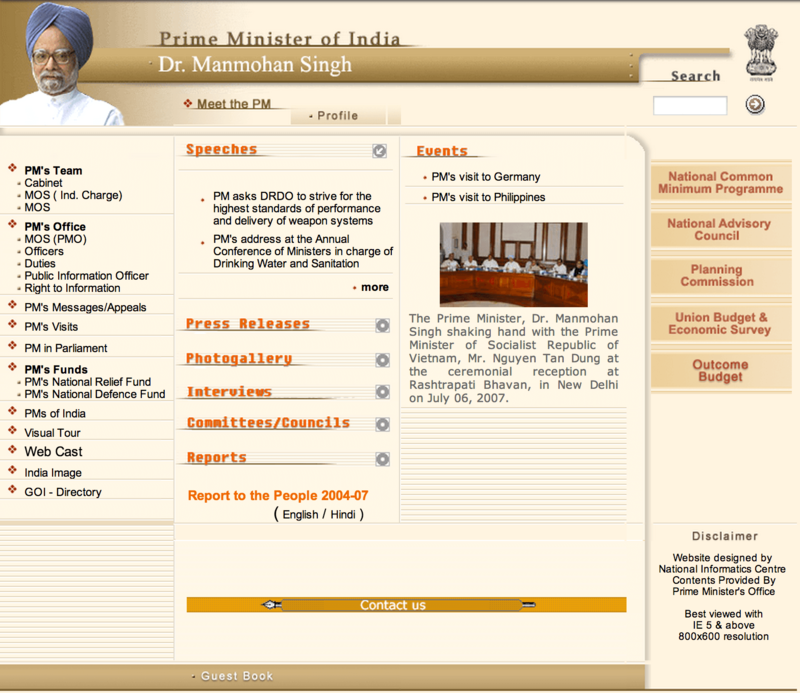 Manmohan PMO site in Jul 2007. Highlights prominently the one thing he was never known for - his speeches. Manmohan PMO site in Jul 2011. Six years in office and barely any changes. 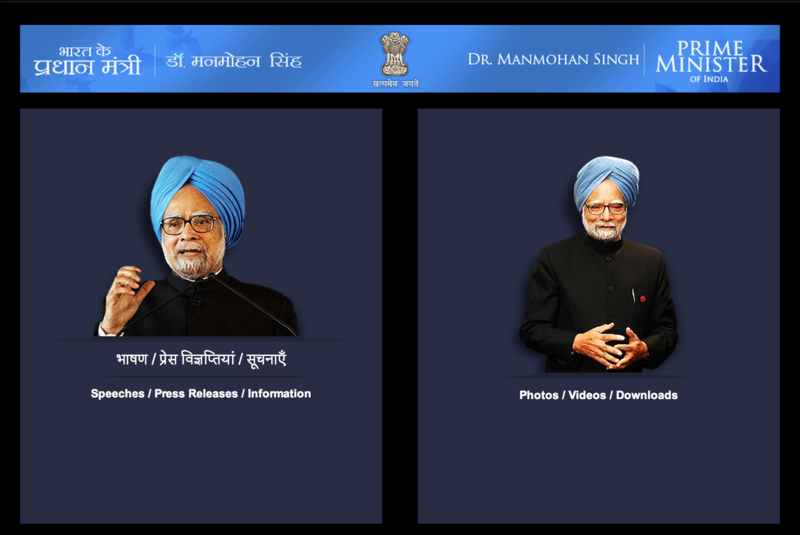 Manmohan PMO site in Jan 2014. A pre-election site rev to make his *cough* speeches more prominent. 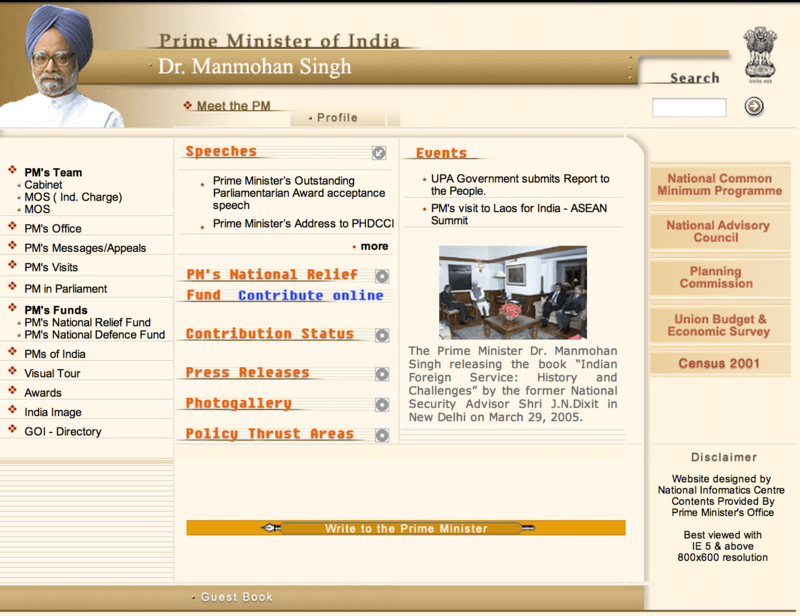 Narendra Modi PMO site in May 2014. A snappy new site that went live at the time of the swearing in. Promises transparency and an channel for direct communication with the people. Note: The PMO website policy section indicates that external sites must get their permission before linking in to it. I’ve sent in a request for permission, but I hope this policy is just a relic of the old website that never did get updated. 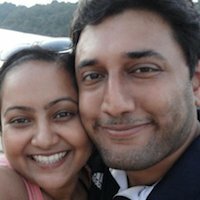 In case you are from NIC or PMO and would like the link removed, please contact me. 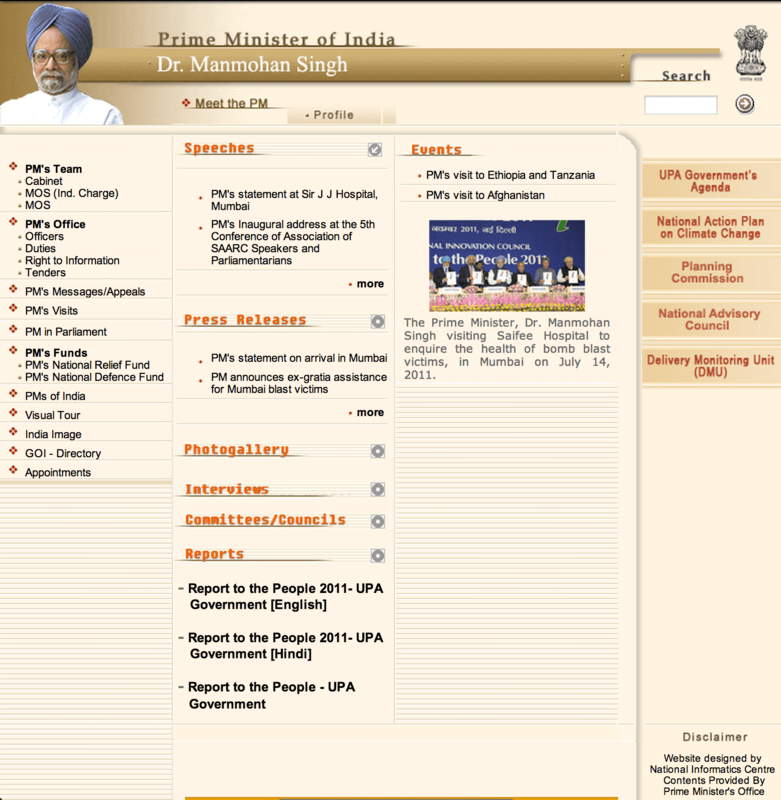 The Evolution of the PMO Site - Vajpayee to Modi was published on May 27, 2014 by Arvi Krishnaswamy .